Explore Laos on a cultural tour as you interact with the locals, hike through the breathtaking scenery, and get a taste of what makes this nation such a hospitable and warm place to travel. As you get to know this region of the Indochina Peninsula, you will surely visit Luang Prabang, the spiritual capital of Laos. This fascinating city is home to Buddhist temples and the monks that enjoy the serenity of the colonial streets and lush forests that surround it. Another popular destination nearby is a hike to the Kuang Si falls, a three-tier cascade that leads to a 50m drop & features naturally turquoise pools great for a refreshing swim. The Pak Ou caves are an awe-inspiring natural & historic wonder you can explore as well. You can even help save the threatened orchids on a trek through the capital of Vientiane. 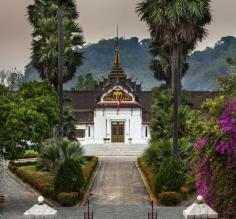 Explore Luang Prabang on this active 7 day tour of northern Laos. Spend your time witnessing the monks' alms rituals in the morning, venture across the river to the famed Pak Ou Cave, interact with elephants at a conservation center, and spend two days hiking through rural Khmu villages in the nearby countryside. Explore the main highlights on this 13 day tour of Vietnam and Laos, including a cruise in Ha Long Bay, wandering the streets of Hanoi, and experiencing the culture of Laos for a week in Luang Prabang. 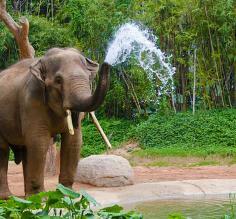 You'll also see Thanh Chuong Viet Palace, the Pak Ou Caves, and the Elephant Conservation Center along the way. This 9-day active tour of Laos explores Luang Prabang, Vang Vieng, and Vientiane as you hike, kayak, and cycle your way through the ancient ruins and virgin landscapes of this seldom-visited country. Embark on this 5 day tour through Laos' less visited areas, like the Bolaven Plateau and the Mekong River. On this round trip from Pakse, you'll see incredible waterfalls, famed temples and witness the coffee production process as you visit sites like Wat Phou throughout the Champasak region. Spend four days exploring northern Laos on this Luang Prabang tour addition. Experience the monk's almsgiving first hand, and tour the city including Wat Xieng Thong and the daily morning market. Travel to the hidden Pak Ou Caves and hike and swim Kuang Si Waterfalls as you explore the area around Luang Prabang. Swimming & hiking around waterfalls, like the crystal clear, cerulean three-tiered Kuang Si falls, or the Li Phi Falls, where Irrawaddy dolphins can be seen. Explore the sacred Pak Ou caves, where more than 3,000 Buddha figurines can be found in the dark corners of these spiritual caverns. Experience the heart of Lao Buddhism as you tour Luang Prabang and see its many ornate temples. Enjoy exclusive access to the 4,000 Islands as you navigate them by ferries; from here you can also check out the 11th century Khmer Temple of Wat Phou, still in use today. Trek through a beautiful land of elephants & orchids outside of the capital, Vientiane and later visit the Elephant Conservation Center in Sayaboury. 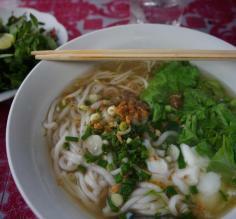 The cuisine of Laos may not be familiar, but it is one that will satisfy any food-loving traveler! While some similarities do exist between it and Northern Thai food, Lao cuisine has many distinct elements that make it unique. Learn more about what to expect on your trip to Laos, common ingredients, and popular dishes. 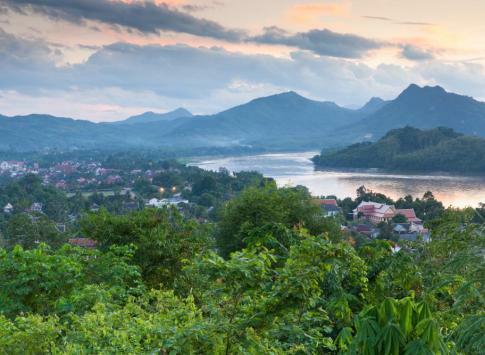 Planning a trip to Laos is sure to result in some questions. 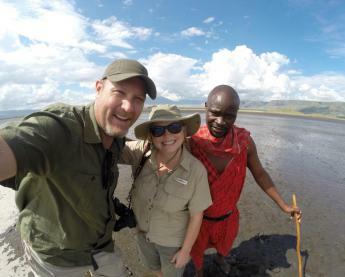 Our FAQ answers some of the most common ones asked by our travelers. From packing suggestions to what type of currency is used, this guide will hopefully help you be better prepared for your journey to Laos! When is the right time for your trip to Laos? This country does have distinct rainy and dry seasons, which can determine when you decide to travel. Depending on what you want to see and do during your trip, the weather is definitely something to consider. Learn more about what to expect so you can begin planning your trip! The country's official name is "Lao People's Democratic Republic." BeerLao is a uniquely delicious beer, using yeast from Germany and locally grown jasmine rice. Along with North Korea, China, Cuba, and Vietnam, Laos is one of the last remaining communist countries in the world. 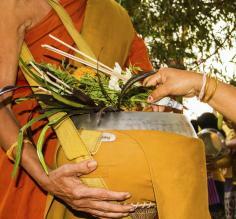 The three-day Laotian New Year celebration takes place in mid-April. Unfortunately, during the Vietnam war over 2 million bombs were dropped on Laos, garnering it the status as the "most bombed country in the world." There are still a devastating amount of unexploded bombs that make much of the land unusable for farming. Coffee is the primary export of Laos, and an impressive 80 percent of the population works in some part of agriculture. Laos may not come to mind as a place full of wildlife, but the country's tropical climate & landscape make it a haven for a variety of creatures! 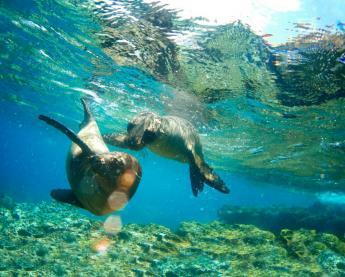 Elephants, sun bears, tigers, & 740 species of birds are just a few of the animals that call this home. Discover the wild side of Laos on your trip! Each morning at dawn hundreds of monks leave the temples to go out through the streets to collect food offerings. Faithful people bring cooked rice to help provide for them, and it is a unique ritual to experience. Learn about proper etiquette and behavior as a visitor observing the daily alms giving. US citizens do need a visa to visit Laos. Tourist visas are not hard to get, and we can help point you in the right direction throughout the process. Check the visa requirements for more specific information. If a service charge has not already been included in the bill, you can leave around 10 percent on the check, however it is not a hard and fast expectation. For excellent service, it is definitely appreciated. What is internet access like in Laos? The internet is increasingly available in Laos - most hotels offer WiFi or at least some form of internet access, and cybers are fairly common in the major cities. In the more isolated parts of the country, you should not count on having access. 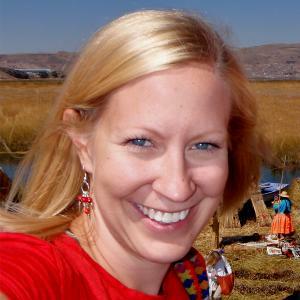 Can I use my cell phone while in Laos? Maybe, but you shouldn't count on it. While you could call your service provider and ask them to unlock your GSM-enabled phone so that you can buy a SIM chip when you arrive, we suggest just turning it off and enjoying your exotic vacation. You could also try to connect to WiFi networks or ask your provider if they offer any international plans. Power adapters are either North American style (A & B) or European style (two prong - C, E, F), so it's a good idea to purchase some power adapters. Power is 230v, but most 110v devices are made to handle both levels so a converter isn't necessary. Toilets in Laos will either be squat toilets (found throughout most of the country) or Western style bowl toilets (found primarily in upscale hotels or on cruise ships). No matter which type you encounter, do not flush the toilet paper, but rather put it in a waste basket next to the toilet. You will always be provided with safe purified or bottled water to drink throughout your trip, but you should not drink the tap water. It can be used to bathe. Are credit cards accepted in Laos? Will I be able to find ATMs? Don't rely on your card or ATMs in Laos. It's best to go with plenty of cash for your trip, since ATMs are not terribly common and usually only the nicest hotels and restaurants will readily accept debit or credit cards. While you might be okay with ATMs in the bigger cities, as soon as you head towards the more rural areas, you will find yourself hard-pressed to find an ATM. Of course! 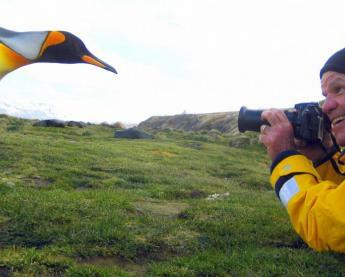 Having travel insurance is important, so once you've decided which trip is right for you go to our Once You're Booked page for more information and deals on TravelGuard Insurance.